The connoisseur frog garden bluetooth speaker has two 10W speakers on each end of the barrel, providing stereo audio and will add a unique addition to the garden. 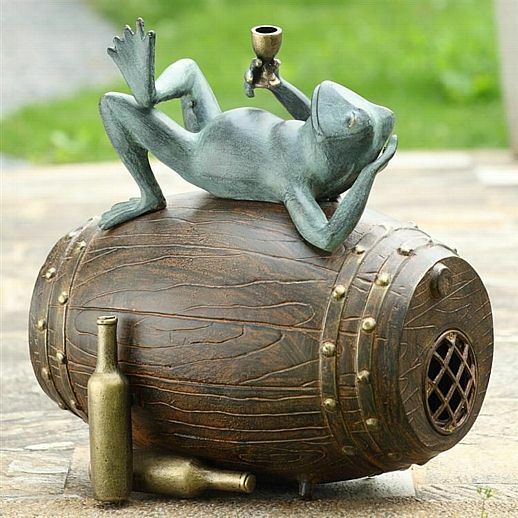 It highlights a happy frog resting with a drink atop a barrel as shown. Outdoor safe. Dimensions: 16"H x 15" x 11"